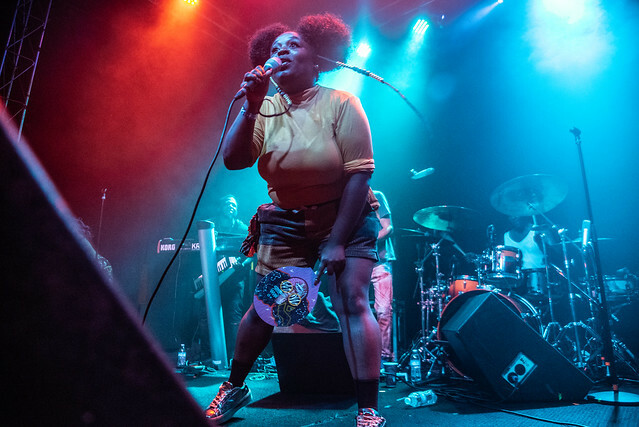 Anyway, moral of the story – Tank and the Bangas have been to Lou twice in the last year, sold out two different (huge capacity jump for sure) venues, and all the while made every single attendee’s day infinitely times better because of experiencing their show. In the best way possible, you are forced to enjoy yourself immensely, dancing (& maybe trying to sing?) along with Tank – even though she outshines you each and every time but it doesn’t matter in the end – from the second they walked on stage until the second they left. TATB: we know you all will continue to do so well, and we hope that you come back again!